Dr. Joseph Murphy's classic book The Power of Your Subconscious Mind was first published in 1963 and became an immediate bestseller; it was acclaimed as one of the best self-help guides ever written. Following the success of this work, Dr. Murphy lectured to thousands of people around the world, and millions tuned in to his daily radio program. In his lectures, he pointed out how real people have radically improved their lives by applying specific aspects of his concepts. 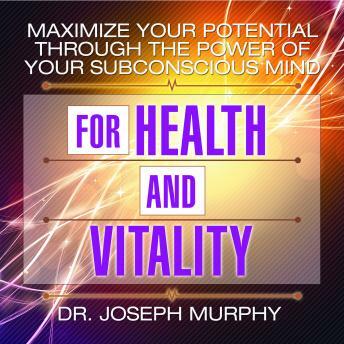 Now, these lectures have been combined, edited, and updated in six audio books that bring Dr. Murphy's teachings into the 21st century and provide listeners with his proven tools on how to program their subconscious minds so that they can radically improve their lives.